I'm back! I feel like it's been ages since I last blogged, life happened and I had to take a break but I can tell you that I've missed it and missed you guys so much. I'm hopefully back for good so let's get into it with the amazing new Femme Fatale Cosmetics The White Witch collection, inspired by Autumnal/Winter tones and named after the White Witch, Queen Jadis, from the world of Narnia by C.S. Lewis. 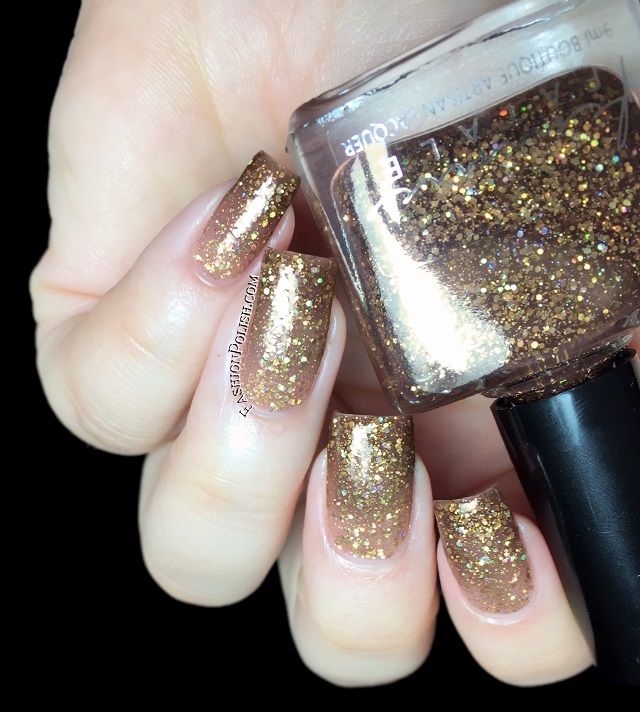 I used 2 easy coats plus topcoat in all of my swatches. 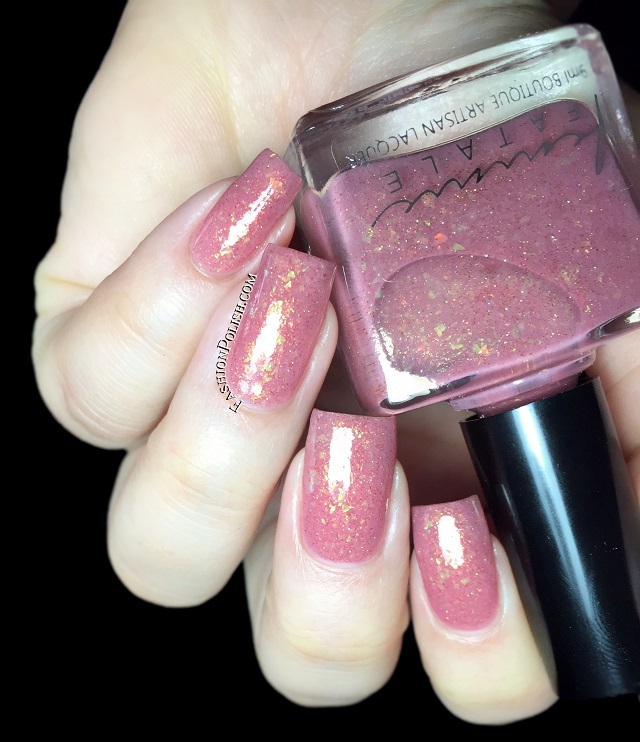 Heart’s Desires* is a rose-coral crelly with green-gold crystal flakies and copper-orange highlights. A reference to the apples of the Garden of Youth – of which Jadis takes one and eats it for personal gain, thus granting her heart’s desires. 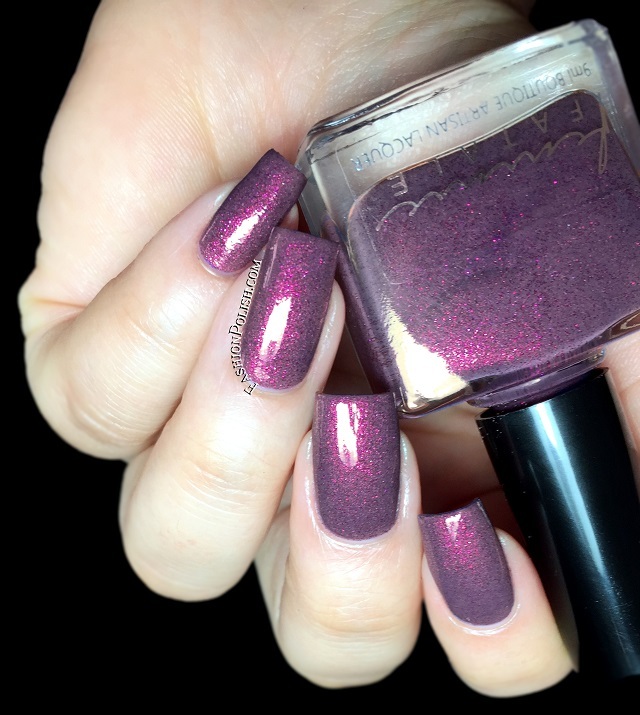 Her Imperial Majesty is a soft purple-grey crelly base with pink shimmer and fuchia highlights. A reference to one of Queen Jadis’ many titles; the rich purple tone and lush metallic finish representing her royal clothing. Hundred Years Winter is a muted rose-marsala creme with turquoise blue sheen. A reference to the White Witch’s reign in Narnia, where there was only winter for a hundred years and it never reached Christmas. 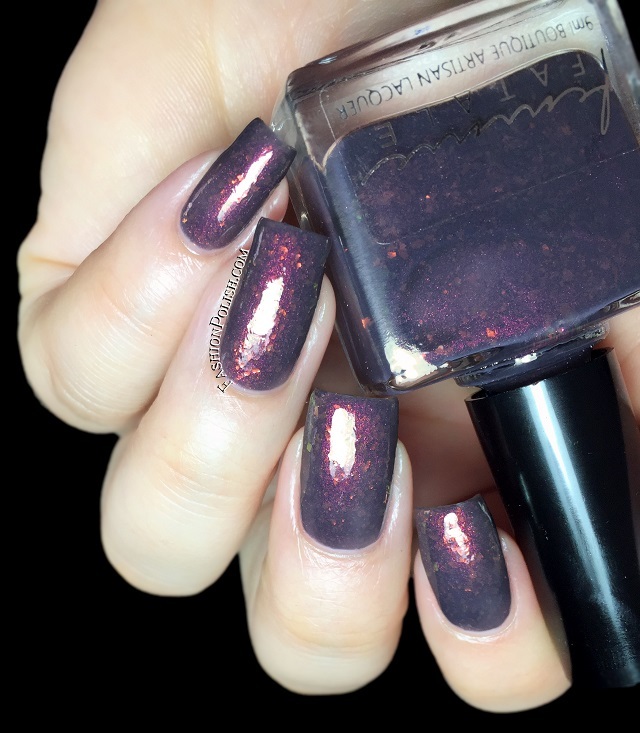 Lantern Waste* is a sheer navy base with red overlay and red-gold-green flakies. Refers to a wooded area in Narnia, where the The Lantern of Ever Lighted Lamp resides (which Jadis planted herself by accident during the creation of that world). This shade reflects the soft fiery glow thrown by the lamp against the evening light and dusky trees. Lion’s Breath is a clear (warm) to brown (cold) thermal with golden microglitters and reflecks. This particular shade – Lion’s Breath – is a reference to Aslan and the moments where he brought the creatures the White Witch turned to stone back to ‘life’ by breathing on them. The golden and brown tones reflect the lion, the thermal represents the transitional change of his breath. 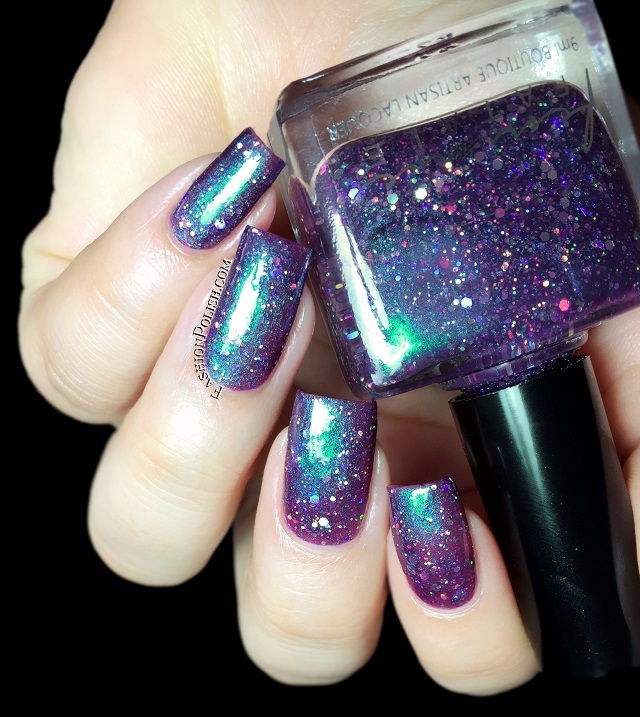 Moonlight Statues is a berry jelly base with blue overlay, and silver microglitters. A reference to the White Witches’ courtyard, filled with assorted Narnian folk who she has turned to stone. The colours in this shade – berry, blues, silver, shimmer – reflect the fall of the moonlight (and the subtle colour variances of that) on the twisted and frozen statues. 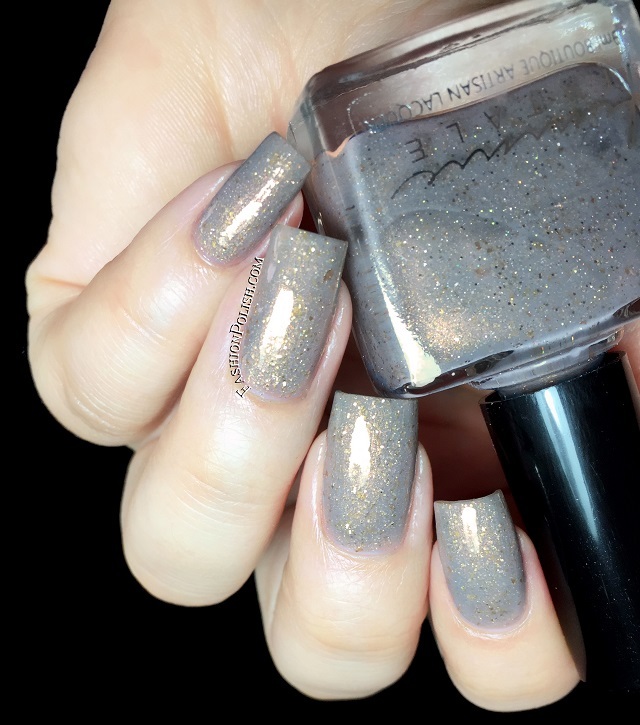 The First Northern Witch is a sheer grey crelly with sand and silver reflecks and copper shimmer. 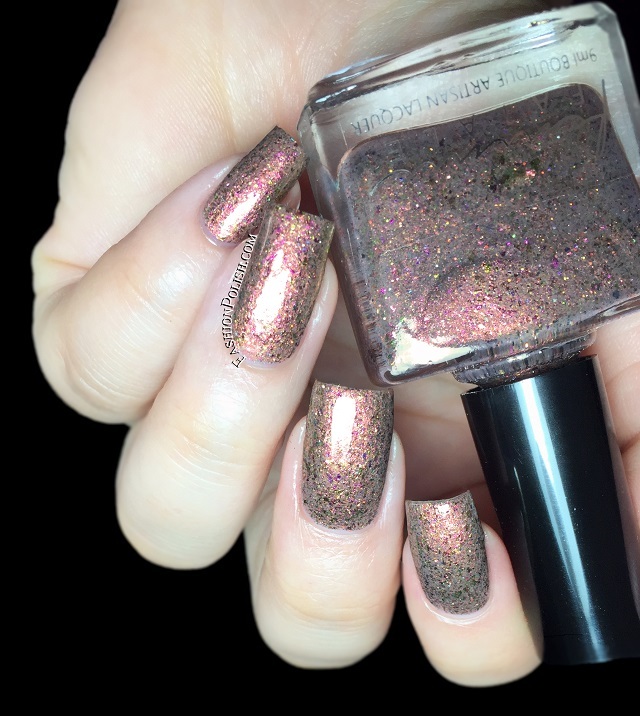 Inspired by Autumnal/Winter tones and named after the White Witch, Queen Jadis, from the world of Narnia by C.S. Lewis. The First Northern Witch is a reference to Jadis herself. The Femme Fatale Cosmetics The White Witch collection is available for presale until June 5th on FemmeFataleCosmetics.com.au (worldwide shipping and loyalty program). Direct link here. Individual shades vary from AU$9.35 to AU$11, full set : AU$78.65. Overall : I'm in love with this collection. I was already sold on the Narnia theme but I must say that I am impressed once more by the depth, uniqueness and sophistication of the mica/gliteer blends. My top picks : Hundred Years Winter, Her Imperial Majesty, Lantern Waste and The Secret of Secrets. What do you think about this collection? 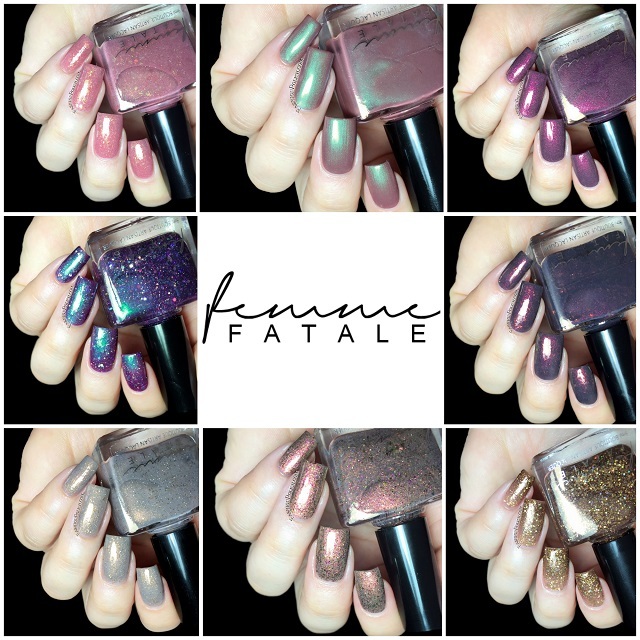 Have you ever tried Femme Fatale Cosmetics?